We already reported earlier that Bajaj will be introducing a new variant of the Pulsar 150 in India soon. 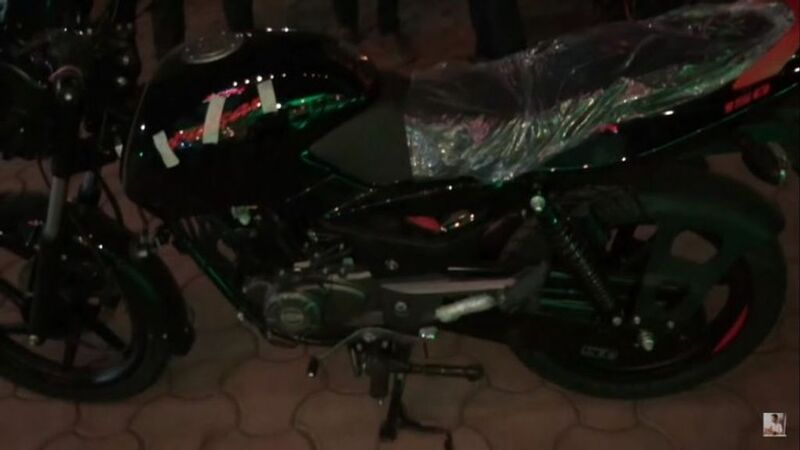 The spy shots of the motorcycle already emerged earlier which gave us a partial view of the motorcycle but a new video has recently been uploaded which gives us a full view of the Pulsar 150 Classic up close which shows us all the details. As far as the changes are concerned in this new variant Pulsar 150 Classic gets Black paint scheme with contrasting red graphics here and there. 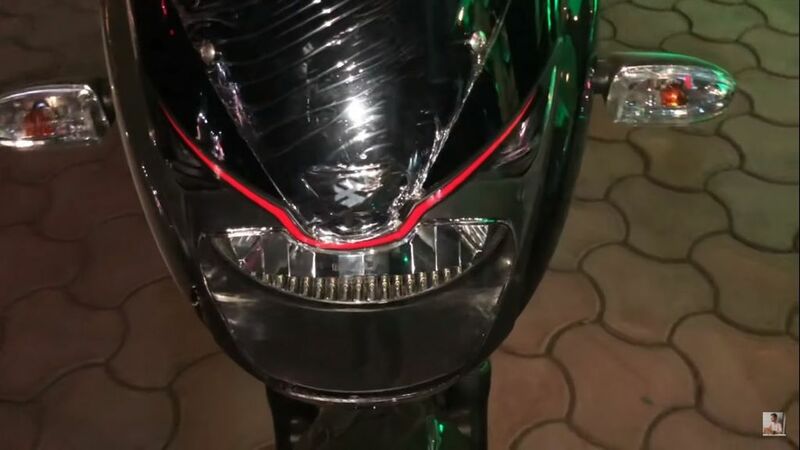 The motorcycle features red accents on the headlight cowl, tank pads, side panels, alloy wheels and also on the pillion grab rails. 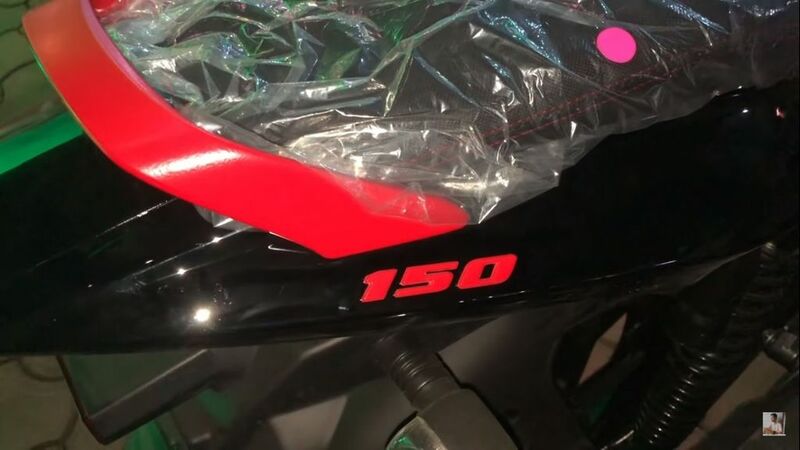 The “Pulsar” branding on the fuel tank as well as the “150” logo on the rear panel as well gets finished in Red paint. To enhance the overall sporty and premium feel of the motorcycle the seats further gets red contrasting stitching on it. Besides this red contrast, the motorcycle hasn’t received any other visual or mechanical changes to it. The Bajaj Pulsar 150 is powered by the same tried and tested 149.5 cc, single cylinder, twin spark engine that delivers 14 PS of maximum power and 13.4 Nm of peak torque. The engine is paired to a 5-speed gearbox. The Pulsar 150 Classic uses a single disc towards the front and drum units at its rear. This variant is positioned just below the twin disc variant and above the standard Classic variant. This updated variant of the Pulsar 150 Classic will definitely help Bajaj to boost their overall sales volume of the Pulsar range to about 90, 000 units in Q4. Apart from the Pulsar Classic Bajaj will also introduce the updated Dominar 400 in India as well soon while we expect the ABS variant of the Pulsar 150 (which was also spotted recently) to hit the Indian market in 2019.